Hidden away in Artillery Lane in the busy city hub of Bishopsgate is this uber chic little Italian kitchen and wine bar called Enoteca Super Tuscan, catering for the masses who merrily wander through Spitalfields and find themselves in the blink-and-you'll-miss-it lane. As you enter this restaurant you will feel quite at home. The atmosphere is cosy and the staff are extremely attentive and knowledgeable. We had a waitress from overseas who knew the menu inside out and was able to give us some great advice on the items we should order. After some deliberation we decide on the Antipasto Misto - platter of assorted Italian meats and cheeses to start. What an almighty start it was. 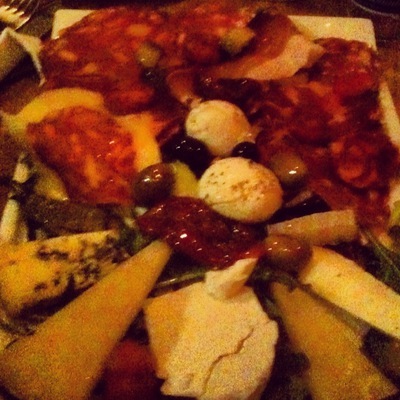 The plate came out with a selection of delicious parma hams, cheeses and salami. Following this was a side salad of Insalata di Pomodori e basilico - sliced ripened tomato with basil leaves for extra flavour and drizzled with authenic virgin olive all and cracked pepper. 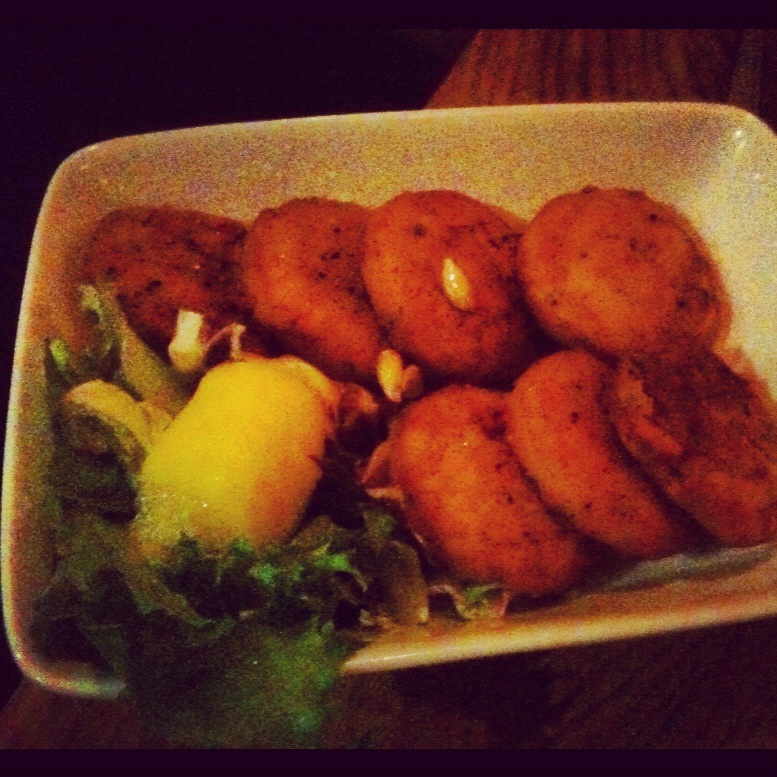 Lastly on the savoury menu was some crumbed fried chickpea lentils that were recommended by our waitress. We could see why - the crunchy outer coating was equally as delicious as the chickpea spiced centre. Definitely one for the taste buds. Last but definitely not least was the gelato. 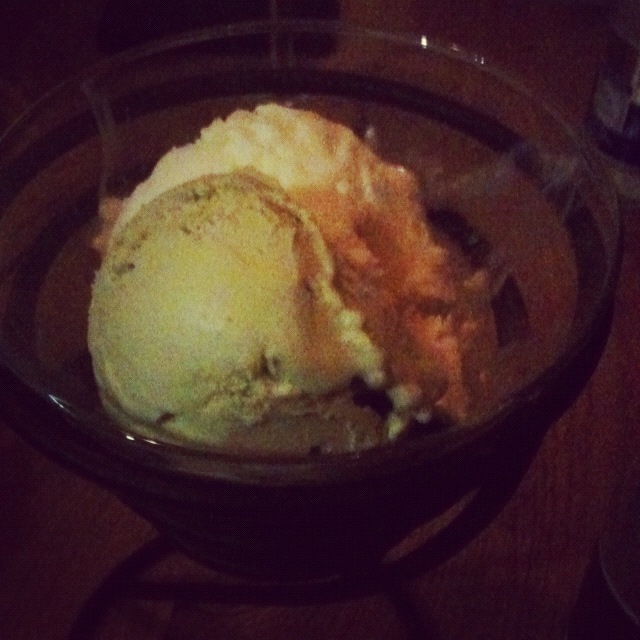 A selection of pistachio, chocolate and strawberry gelato made its way to our table and as quick as it came it went. The sugary treat was possibly some of the best gelato I have ever eaten so I highly recommend it. 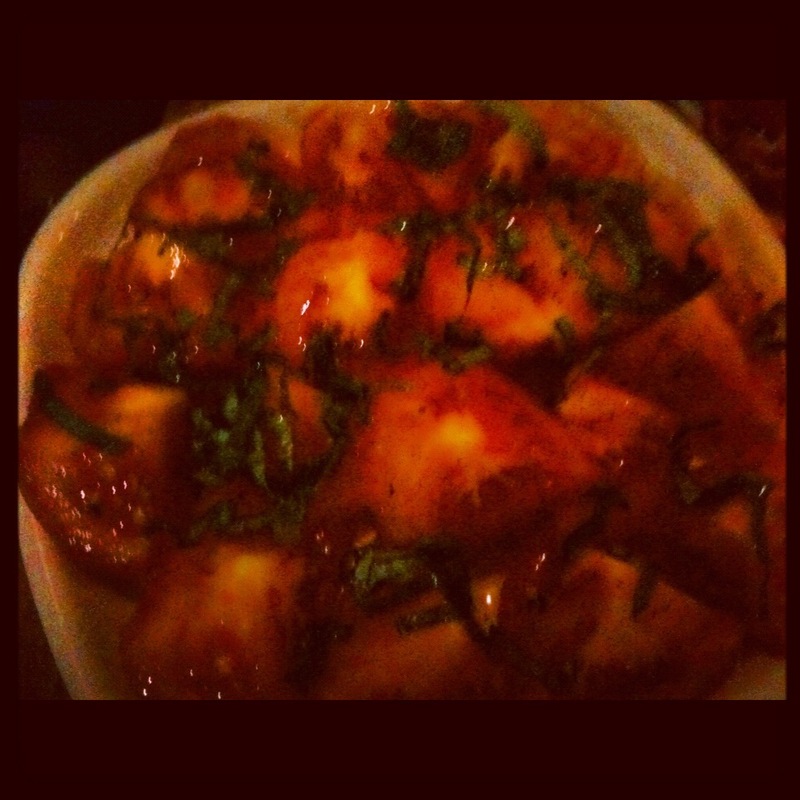 Affordable Italian, tasty Italian and great service make this a definite destination for Italian lovers.